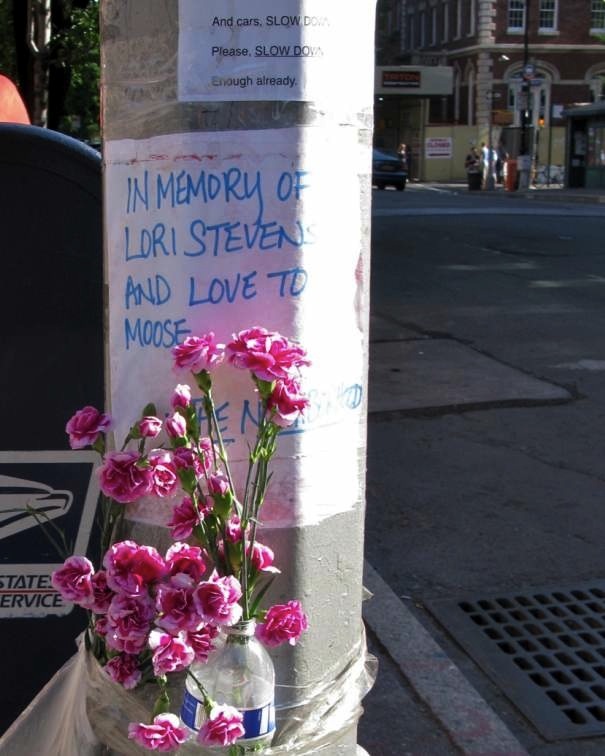 A block away from where I buy my catfood, someone put up a sign in memory of someone named Lori Stevens who was struck by a car and killed while walking her dog Moose. Someone considerately added later that Moose was okay, and that he’d been adopted by someone in her building. 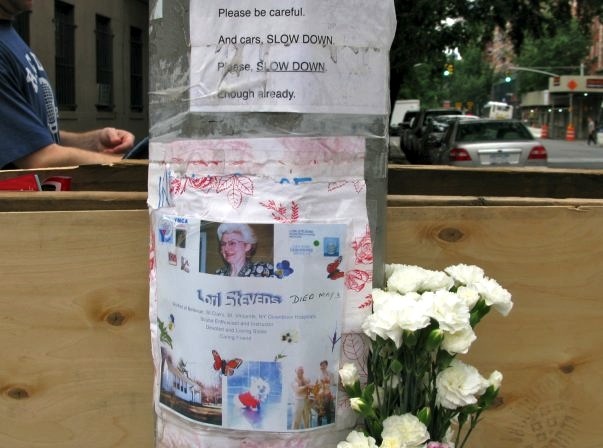 Every time I walk by there are fresh flowers and a new sign. Buddy update: He is much better today. He’s eating more, and hanging out front with me and Finney. He was isolating yesterday, never a good sign, but today he is more himself, so my mood is greatly improved.